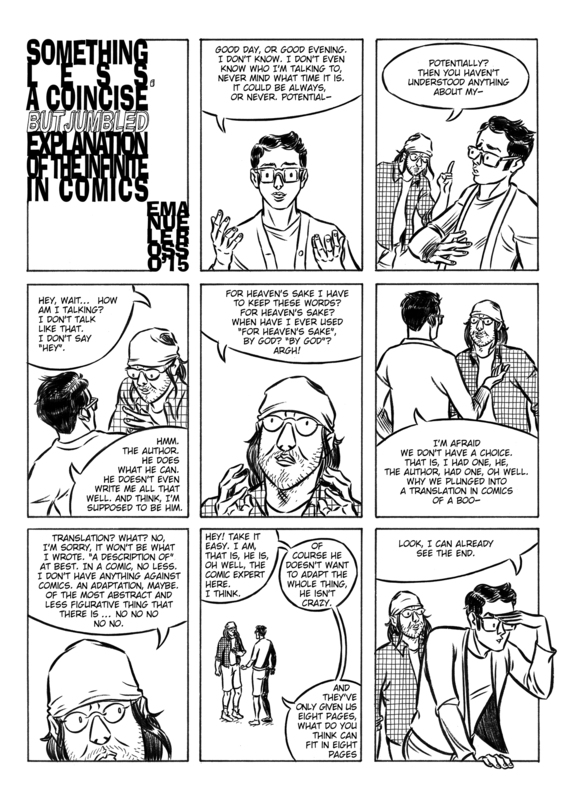 Published in "Lettera Matematica - Pristem" n.95 (Springer/Bocconi Univeristy Press), a short comic about the relation between comics and the concept of inﬁnite, as expressed and explained by David Foster Wallace. Is there something in common? How can we try to show and narrate inﬁnite in comics and above all in a graphic form? I try to dialogue directly with the comic version of Wallace to explain how some aspects of the set of problems about inﬁnite and its paradoxes are the same that each comics authors faces while creating a new story.